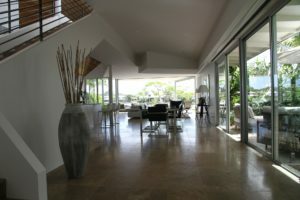 Any house owner will tell you that the creation of a garden room can transform a property. It offers a bright living and working space for every season. In the Northern hemisphere we crave light during Winter. Achieving a comfortable atmosphere in a garden room is particularly important if you have pets at home. Here are some top tips on how to achieve a fantastic garden room for a pet-safe home in any season. Planning ahead is vital to make sure you have given enough thought to all the details. It is important to review your plans in the light of how you will use the new room. You may have plans for a secluded and quiet room which is separated from the main body of the home that you can use to admire the view or simply to relax. Or perhaps you prefer an approach that is open plan integrating the different spaces in you home, a garden room can accentuate the light in each space and give depth and context to a brighter space. Quick Garden is backed by many years of experience along with extensive knowledge when it comes to orangeries and conservatories. They will give you the best information on what will work for your home and the different options available. Where you plan to build an orangery or conservatory will typically depend on the size and layout of your home. If you have ideas for this new living space in relation to the general layout of your other rooms then consider the flow of movement and what you intend to use this space for. To help you make sense of purpose and the practicality of the garden room why not lay it out in front of you in paper shapes to help you visualise how it will all work. The kitchen conservatory is one of the most popular choices for purpose and function of a garden room, because if translates into a bigger living space that can accommodate the entire family. These orientations come with differing characteristics and if you would like to take advantage of this type of design, the necessary ventilation and shading needs to be implemented. For most homes, the addition of an orangery or conservatory requires planning permission unless the addition falls under your Permitted Development rights. Quick Gardens can handle these processes, which forms a part of the services that they offer. The most important element to speed up the permissions process is knowing what you want. So consider your options as early as possible. One of the most important point to consider is that you make sure you choose materials of the highest quality and make sure they are the ones used for your project. This important point will extend the longevity and durability of the structure. Quick Garden are backed by a reputation that is superb when it comes to craftsmanship and the quality of timber used. The timber orangery or conservatory is the perfect option when it comes to period homes that offer a beauty that is natural along with offering a transition that is seamless from garden to home. The roof system that Quick Gardens uses comes with low-maintenance characteristics. This includes external aluminium that is powder coated which does away with the need for redecoration. Details from the home interior can be incorporated for consistency in style, such mirror styles or window styles, for a good visual flow. 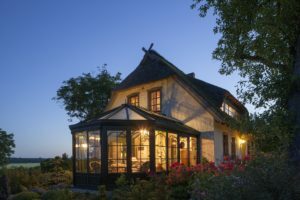 Bespoke designs could be considered to ensure the conservatory is designed to fit with the rest of the property to add value and aesthetic appeal to your property. 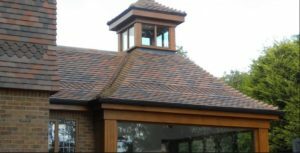 The most important element for a conservatory which has been well designed is great the ventilation. 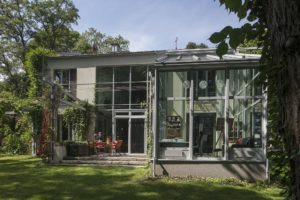 With the latest advancements in technology, quality glazing can effectively retain warmth even in the Winter months, and can even block solar gain in the Summer months. This can be essential not only for the human inhabitants, but the pets also. Do consider this as a responsible home and pet owner. Whether the pets are with a petsitter or are left alone in a property for hours at a time this is a serious consideration. The heat and temperature in a glazed room must be a consideration for the owners. Ensure a safe and comfortable atmostphere for all the home inhabitants. Choosing the right supplier to help you design and build your garden room structure will ensure you have a conservatory environment that is comfortable and enjoyable to be in any time of year. For this reason, concepts like air movement are considered and planned out in the design stages. Ensuring you have opening roof vents and windows will allow hot air to first rise and then escape to stabilise the temperature of your garden room. Once again technology has come a long way with electric vents that are thermostatically controlled, and that can be programmed to open automatically when the room reaches a specified temperature. When considering heating in your conservatory, trench heating and underfloor heating are space saving and efficient options. These considerations during early planning will enable you to use the walls and the space in the room to its full potential. Combining all these technologies and elements will translate into a more comfortable orangery or conservatory. And so it helps to create a space that you can enjoy throughout the year. A glazed room will change its character in your home when the sun goes down. 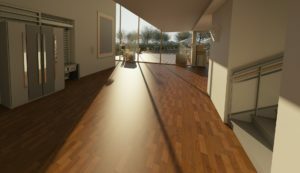 Internal lights can be used to reflect off the glazing to create a unique atmosphere. The use of creative lighting can offer dramatic effects which will give the glazed room changing “moods”. For example, the use of downlights along the outer edges can create a frame for the room. Lighting in a heavily glazed room must be planned carefully to ensure the right effect is achieved and wiring is well concealed. A good designer and builder of garden rooms will source a collection of flooring, furniture and lighting to match perfectly to your design. Whether you plan to use this space for entertaining, relaxing or dining consider all these tips to help you design your solution. Interior designs associated with home conservatories are no longer restricted as they were in previous years. Today there a huge choice in materials from glass to metal, stone, and even painted pieces. A final point to consider is the colour palette that is more neutral, especially for fabrics and paints. Then add in accent colours in the scheme to achieve seasonal looks for freshness.